Wednesday Review is back for the new year and to kick things off, I have a neat book about one of my favorite topics: The Cavern Club in Liverpool! The book Cavern Club: The Inside Story was written by Debbie Greenburg. 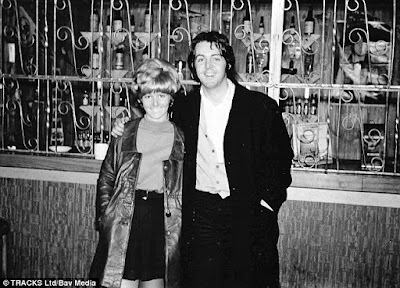 Debbie was a Cavern girl that saw the Beatles lunchtime shows in the early 1960's almost on a daily basis. She loved going to the Cavern and spent most of her time there. It didn't matter who was playing, if the Cavern was open, then Debbie was there. In 1966, the owner of the Cavern Club, Ray McFall, went bankrupt and was unable to do the required by fire laws remodels that the Cavern needed to stay open. Debbie's father, Alf Geoghegan thought it would be a good idea to purchase the Cavern Club and so with Debbie enthusiasm, he did just that. The book is Debbie's story about how her father ran the Cavern Club in Liverpool from 1966-1970 and stories of things that happened along the way during that time. If you are looking for stories of seeing the Beatles in concert at the Cavern, you aren't going to find it in this book. I was a bit disappointed that Debbie didn't go into more about her experience with the Beatles, but she does talk about it some. That just isn't the focus of the book. However, this book has plenty of Beatles content to keep fans hooked until the end. Plus there was so much information about the Cavern that I never knew. 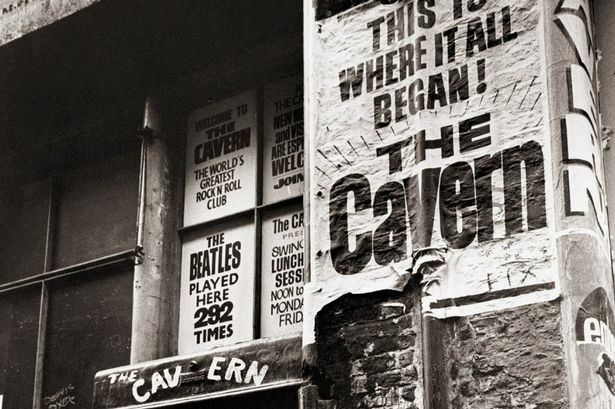 During the time that the Beatles had the Apple Boutique in London, the Cavern Club had it's own boutique in Liverpool. I also didn't know that there was a recording studio located in the Cavern Club. I found it interesting that as early as 1967, Beatle fans from around the world were traveling to Liverpool and making the important trip to the Cavern Club. Alf saw that fans were wanting to take home a souvenir of their trip and he opened up a Cavern shop that sold t-shirts, necklaces, and other goodies that fans could buy. Thinking about how things are today, he was way ahead of his time. The best part of the book is the story about when Debbie met Paul at the Cavern in 1968. There has been a lot of misunderstandings about this visit, and I remember arguing once with a fan who didn't believe it ever happened. I am glad that Debbie put the truth down in a book so that we don't have to guess about it any longer. A few things I didn't know about when Paul was there include the fact that Paul opened up the piano in the band room and played "Hey Jude." Also after the trip, Paul made a collect call to the Cavern from somewhere in the United States (he mentions Ohio?) and thanks Debbie for letting him stop by. While he was there, Paul gets a red Cavern Club t-shirt---the t-shirt that you see him wearing in photos in the 1970's. They still sell that shirt at the new Cavern--I bought one in 2013 for myself! 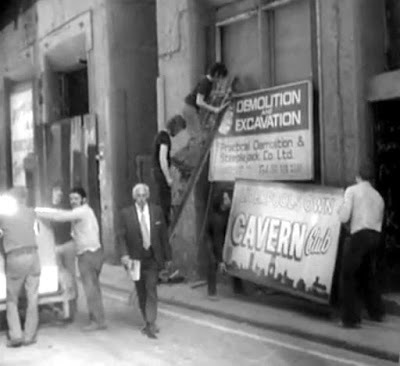 A sad day for Beatle fans everywhere--the day the Cavern Club was torn down. In 1970 Alf decided it was in his best interest to sell the Cavern. Right before he sold the club, he got a letter stating that the city wanted to tear down the Cavern Club to use as a ventilation shaft for a new train system. If he paid 500 pounds, they would move it down farther along Mathew Street. According to Debbie, her Dad went to the new owner several times to talk about this matter. He told him how important it was to pay the money so that the Cavern didn't get torn down. The owner didn't seem to care and as we all know, the original Cavern was torn down and the new train system wasn't ever built. This is the first I have ever heard that the original Cavern didn't have to be torn down, and I thought it was an interesting twist. 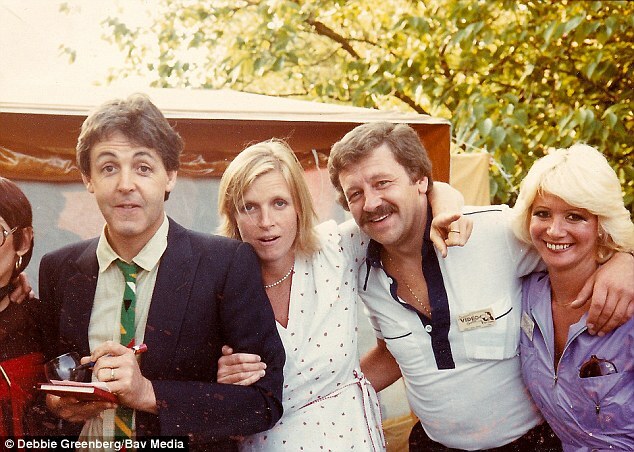 Later, in 1982, Debbie got to see Paul again at his brother, Mike's wedding. Debbie's husband was hired to video tape the wedding and reception and Debbie came along to help. Mike had been a friend of her husband's for a long time. Debbie tells some great stories about the wedding reception and it made for a great end to her story. I really recommend Cavern Club- the Inside Story because it gives insight to the Cavern after the Beatle years and it is a really fun book to read. i like the story about the red Cavern tshirt and that you got one at the new place too! that's awesome. I can believe it. Typical of PM to return to the Cavern in 1968 and play 'Hey Jude' impromptu. Roots have always been more important to him than the others - - in a sense GH found his roots in India. Maybe PM's lifelong attachment to Liverpool reflects his suppressed grief at the loss of his Mom - - though we don't need a psychological explanation: it's a charming loyal trait anyway, and I think it helped the lad keep grounded. Touch base. An electrician came to my house to do an annual electrics check last October: he was Liverpudlian and still lived there, and said he was sick of the mention of Beatles, though his wife was a fan. But he told me that he did some electrical work at a house in Speake, and the householder told him of a knock at the door years ago. It was PM 'and a mate' asking was it OK if they looked around, as he once lived there as a boy. Typical.